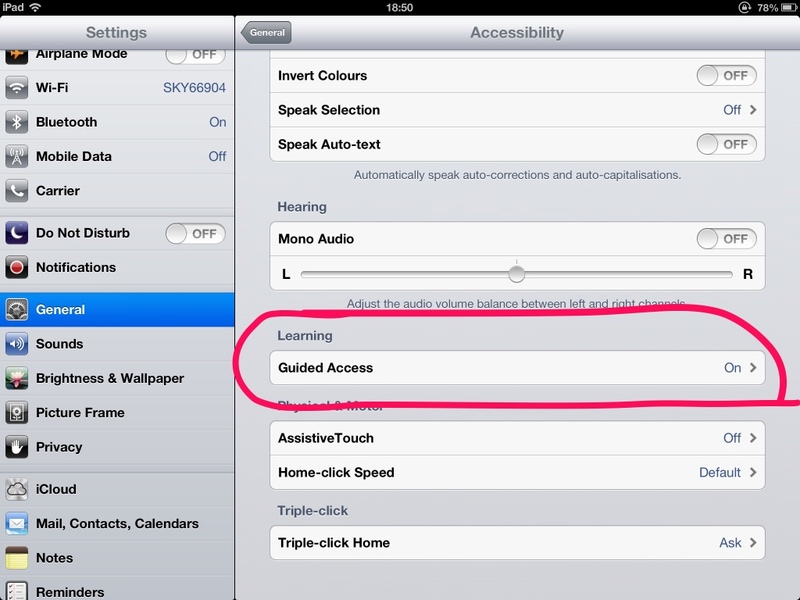 One of the great new features of iOS 6 is the guided access feature. This will prove extremely useful when working with students who have the tendency to keep pressing the home button to close the app. Also another great feature of this, is that you can select parts of the screen to be inactive. This is particularly useful when using free apps that have adverts as I found that sometimes students will accidentally press the adverts, which then leads them away from the app. To set up, guided access, you need to turn it on first. Go to Settings, General and click Accessibility. In there you will find Guided Access. Select this and switch it to on, plus set a pass code to enable you to turn it off. Once you have set this up, load the app you want to use and triple press the home button. Press guided access which will lead you to the setup screen. Here you have the option to select parts of the screen to make inactive, and turn off touch and motion altogether. To select parts of the screen, just draw a circle around the bits you want to make inactive. Then all you have to do is press done and the app is ready to go. 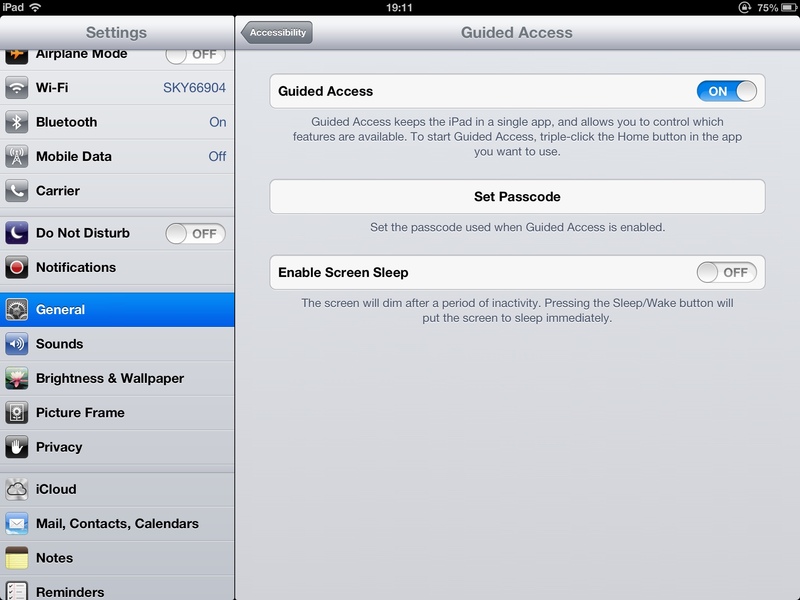 To exit, guided access, just triple press the home button and enter the passcode to exit. A really excellent feature when using iPads with SEN.